Question: What do Amitabh Bachan, Aamir Khan and Jackie Shroff have in common? Answer: Each has a Blog and now you can get talking to them! The Indian Blog and New Media Society (IBNMS) and Delhi Blog and New Media Society (DBNMS) wants to share this wonderful world of blogging with you and get you started with it! 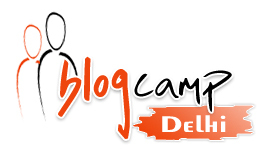 IBNMS in collaboration with DBNMS proudly present the first ever Blog Camp in Delhi! At BlogCamp Delhi we will get together and discuss/ rant/ brain-storm/ share opinions about blogging technologies & trends. We will cover micro blogging, photo-blogging, video blogging, social media – everything about the world of blogs & new media that interests us. Please help us spread the word by forwarding this invite to your friends! Join the IBNMS here & Delhi Bloggers Group here. PrevNo U – TURAN here! NextRegistration Open for Delhi Youth Summit on Climate 2008! Sign: wdpad Hello!!! echtb and 5767twprhbshss and 9987 : Great!